Shares in AO World fell over 6% in early trading this morning after the Bolton-based online retailer announced widening losses despite turnover hitting a record £700m. The company posted total revenues of £701.2m for the year to 31 March 2017, up by 17% year on year. UK sales accounted for £629.7m, while revenue from Europe rose 53% to £71.5m. Its operating losses widened to £12m, compared to £10.6m a year ago, which the group said reflected further trading losses incurred in Germany and The Netherlands. Group adjusted EBITDA losses narrowed by 46% to £2.1m. Steve Caunce, who took over as chief executive earlier this year when founder John Roberts took on a newly created board role focusing on strategy and innovation, hailed "another year of great progress". He said: "In Europe, we opened our new regional distribution centre in Bergheim which will enable us to scale our European operations profitably in the years to come and have improved our gross margin, building on our relationship with suppliers. 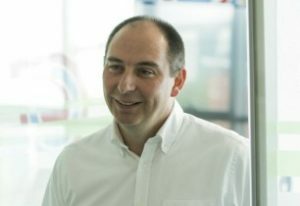 "We have built a state-of the art recycling facility in the UK, we have added new categories to our offering in both the UK and Europe and, in launching computing, we have developed systems and infrastructure to operate a different distribution model, which we can leverage for future category roll-out across territories. "Our customer service metrics remain exceptional across all of the countries in which we operate because we make it our mission to care more and we continue to innovate to create the best customer experience for tomorrow. This has helped us to continue to gain market share in our categories and countries, notwithstanding the challenging trading environment in the UK."